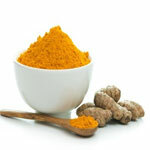 A recent research claims that curcumin, a compound of turmeric, can relieve pain in the joints. Most of us experience occasional joint and back pain at some time. The pain may subside or ebb with sufficient rest, but sometimes it refuses to go away. Long-term joint pain can affect a normal way of life. It can be exhausting, energy-draining and a contributor to chronic stress which can be the underlying cause of conditions such as metabolic disorders, obesity, heart disease and even cancer. Joint pain and back pain are most often caused because of the gradual deterioration of cartilage that protects joints, causing bones to rub against each other, resulting in inflammation and pain. While pain may be caused by an injury, very often it is the result of years of wear and tear on the bone and joint. Researcher Dr Benny Antony says, "Our first reaction in case of pain is to reach for a painkiller. Anti-inflammatory drugs relieve pain by hindering the activity of the inflammation-causing enzyme called COX-2. But during the process, they also inhibit the activity of the beneficial COX-1, the enzyme that protects the lining of the digestive tract and blood vessels. So while anti-inflammatory medications can help ease pain, long-term use can damage the kidneys and increase the risk of stomach ulcers and bleeding. This is where curcumin comes in." Curcumin is the principal curcuminoid of the popular Indian spice turmeric. Dr Antony adds, "With its formidable anti-inflammatory powers, curcumin is a healthy alternative to painkillers because while it inhibits the inflammation-causing COX-2, it does not alter the healthy levels of COX-1. Curcumin not only relieves inflammation and pain but also builds worn cartilage, thereby restoring joints. Curcumin's potent antioxidant powers repair the oxidative damage caused by inflammation."